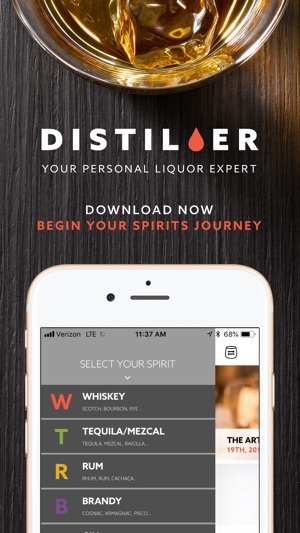 Say hi or get support at hello@distiller.com! - Fixed a bug that made sorting by My Rating on user lists sort incorrectly. - Fixed a bug causing the app to crash if the same sort option was set twice in a row. - Fixed a bug that would prevent users from removing bottles from lists. - Fixed a bug that prevented push notifications from sending. - Various smaller improvements and bug fixes. Something broken? We'll fix it! Reach us at bugsquash@distiller.com to let us know. I've been using this app for a couple of years and it has become indispensable in understanding the beverage offerings in many parts of the world I've travelled, from France, to Japan to most recently, Tasmania. 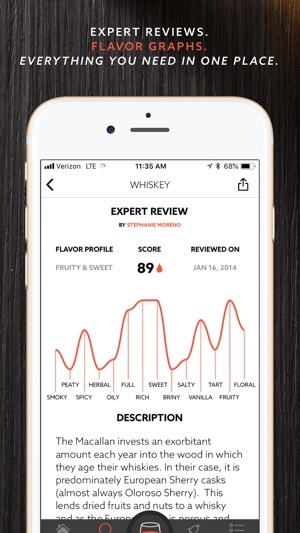 One or two suggestions: it would be great if you could adapt your profile graphic to an interactive function and to be able to adjust sliders to draw a profile in 'search' - for instance, search for a more smokey and spicy, less sweet whiskey - and get results that align with the profile I am looking for - it would be an amazing function. 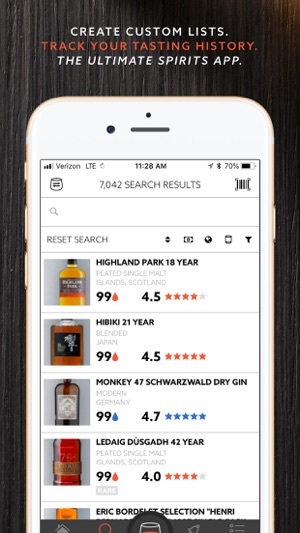 Similarly, if I am looking at a review, to go beyond the three recommendations, to be able to request a list of results reflecting 'more smokey' or 'more rich' (pardon the grammar) would be fantastic. 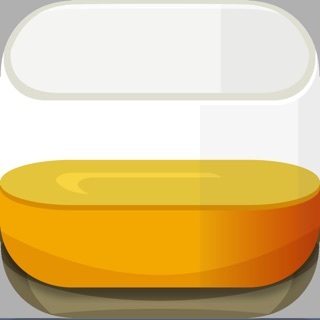 But really, great app with a fantastic database of bevs. I made my own log on the spirts I either tried or bought. Then I came across this app and it had everything I needed to make a better log for my needs. I am not giving it a 5 star rating because I couldn’t find a scotch and a bourbon I’ve bought. I’ve tried again in a time frame and still haven’t found them. It hasn’t stopped me from continuing using this app. Maybe in time they will be in here. 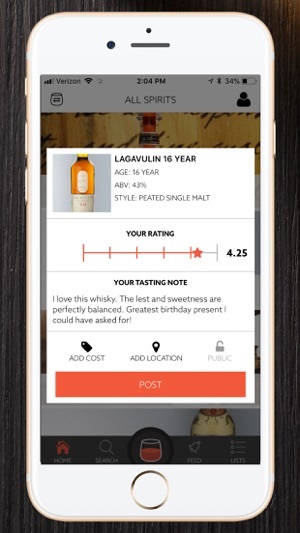 If you’re looking for something to keep a log and rating on what you want to use for a future reference, then I would strongly recommend this app. Enjoy your spirts you’re having, but don’t let them enjoy you. I’ve worked all kinds of bar settings, from divey college bars with holes in the floor and roaches in the kitchen, to pristine fine dining establishments with high end craft cocktails. Coming up with different, exciting cocktails has always been something I’ve been into, so having a good grasp on what certain spirits embody before coming up with new cocktail menus is super important. 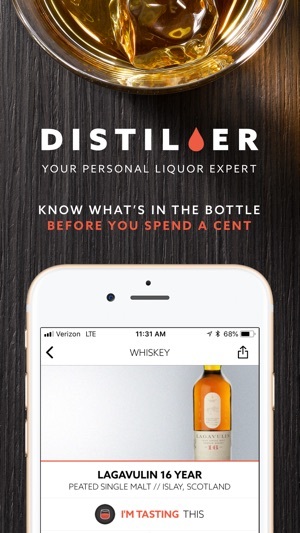 Prior to this app, I’ve only ever seen one other that was truly helpful, but, I dare say, it was not as concise and focused as Distiller. My only qualm is that the price ranges aren’t very specific, but I know the cost of a lot of these bottles anyways, so it’s not that big of an inconvenience.